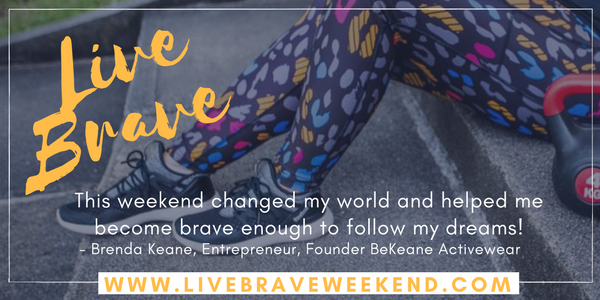 For seven long years, Brenda Keane sat on her dream of having her own line of activewear. She had a strong feeling that there were many women, with curvy figures like herself, that were desperate to find fun, colorful (and functional!) activewear, but her fear of failing got the better of her. For starters, she had never launched any business before, much less an online retail business. Who was she to think she could make it work? And then one brave day, she decided she’d had enough of letting her doubts run the show. That was fifteen months ago. And in January this year, Brenda launched her first line of activewear. Has it been a steep learning curve? You bet. Did she make a few mistakes along the way? Of course. Did some people think she was crazy? A few! Will she be able to retire off the profits? Who knows. But one thing is certain, she no longer has to wonder “What if I’d tried?”. 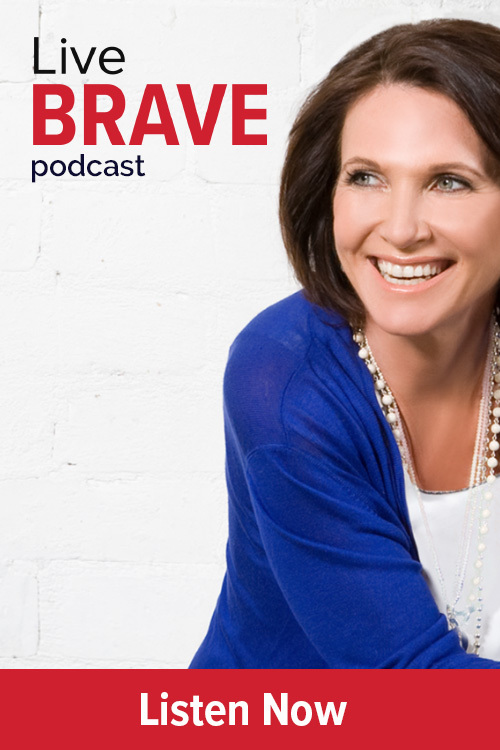 In fact, as Brenda shared with me recently, pursuing this long-held dream has totally changed her life. She’s grown in confidence. She’s met amazing people. She’s learnt new skills. She’s conquered old fears. 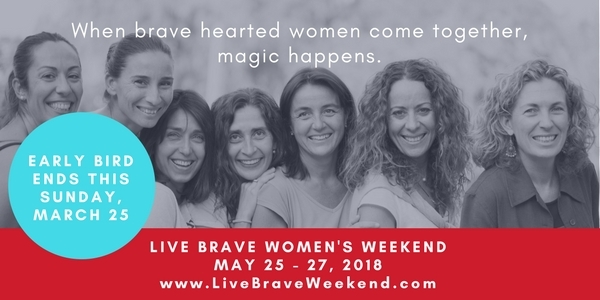 But, perhaps best of all, she’s built a rich network of amazing women around her… from those she met at my Live Brave Weekend (where this whole journey first began). So why do I share this story with you? Because so many people never make the brave decision to bite the bullet and pursue their dreams. Rather, fear wins as they continue to let their doubts about whether they’ve got what it takes pilot their decisions. In the process, the dreams that tug at their hearts never even get a chance! Of course, not everyone wants to create activewear. Just like not everyone wants to make the c-suite, run for public office, author a series of children’s books, be promoted to Partner, start a new career at fifty, create their own TV show, run their own B&B, have their first child at forty-something, or open a yoga studio like Jacinta McDonald (who also came along to my last Live Brave Weekend). But every single one of us is endowed with a unique combination of strengths, talents, interests and opportunities to do something deeply meaningful with our lives. Too often though, we let our fear of not having what it takes keep us from going after what we want or changing what we don’t. What would you do if you weren’t afraid of failing? Brenda may not join the Forbes Rich List (though time will tell!). 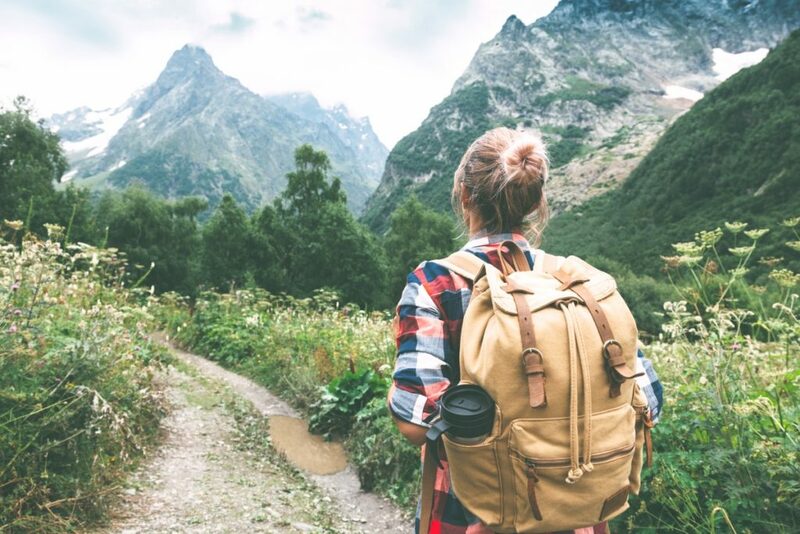 But one thing is sure – her life is infinitely richer because she found the courage to pursue her dream. And in the end, that’s what matters far more than anything else. Your future is still unwritten. But it’s impossible to fulfill your biggest dreams living inside your comfort zone! So instead of dwelling on what might happen if you try and fail, consider how you’ll feel if you never try. As I’ve written before, growth and comfort can’t ride the same horse. So live bravely. What you want most is riding on it. Just ask Brenda!